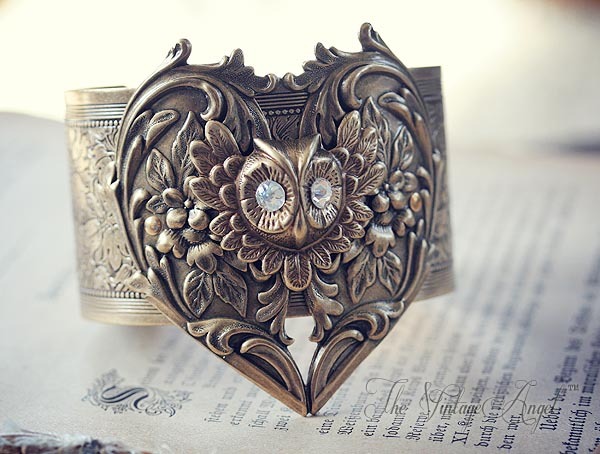 An ornate, antiqued brass cuff with grand Victorian detail and an owl portrait at center, this amazing cuff is a fantasy to behold. 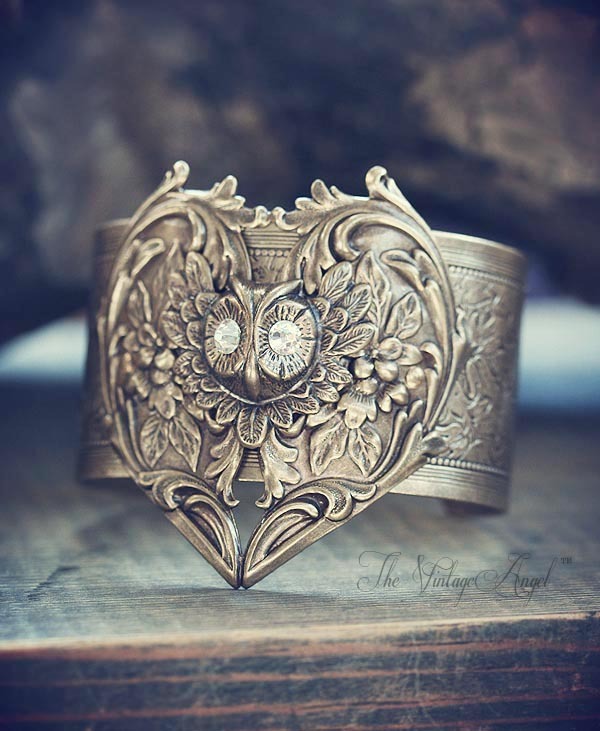 I've started with a nearly 2" wide, etched cuff in antiqued brass, layering over a large and detailed heart stamping, also in antiqued brass. 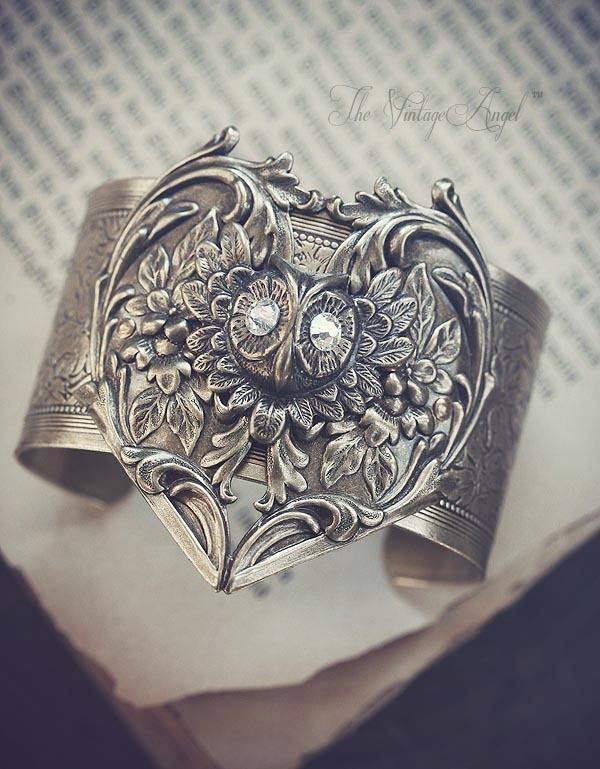 At center stage is an owl stamping with eyes accented with Swarovski rhinestones in faceted moonlit crystal (an almost clear with a touch of golden flash).